We have tried to make our cottage a welcoming and restful space, where our guests can relax and be comfortable. With modern decor and a fully equipped kitchen, we can accommodate up to 6 guests. Located on a lifestyle block with lovely views of mountain and bush and even a glimpse of the sea in the distance. Conveniently located 10 minutes from the supermarket, 5 minutes from the golf course and Pouakai walking tracks, this cottage has everything you need while you explore our region. With its beautiful parks, beaches and mountain. New Plymouth has a high standard of cafes and restaurants. Plenty of parking for larger vehicles. Handy if you are in town for Americarna. Play fort for the kids. Heat pump provides cooling also. Plenty of parking for larger vehicles up to a truck or bus. Extendable dining table seats 6, pull out sofa bed and 2 arm chairs. and small freezer. Milk is provided. Full electric stove and oven. Coffee plunger only, no coffee. Salt and pepper, paper towels, glad wrap, foil and baking paper. Plates and cutlery for at least 6, plus serving and cooking utensils. Pots, bowls and utensils suitable for cooking basic meals. Open plan dining, kitchen, lounge. Extendable dining table seats 6. A climbing fort and swings. We have a ramp available but the bathroom will not accommodate a wheelchair. 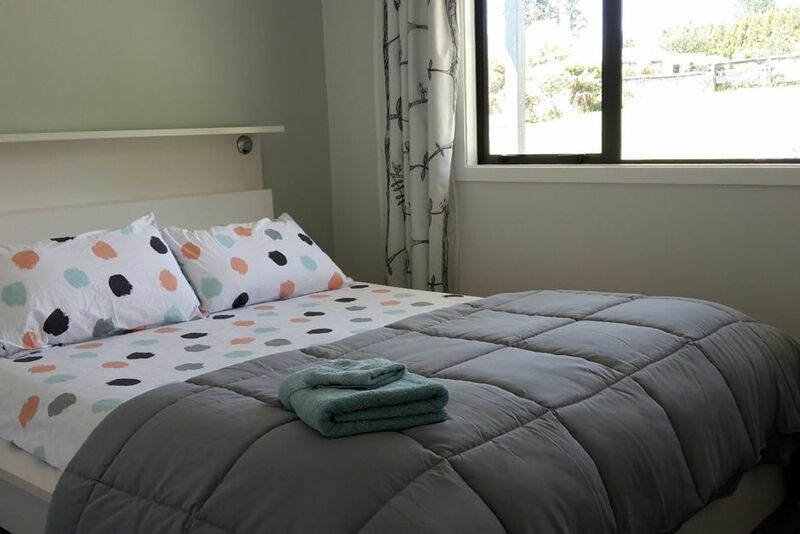 Affordable family accommodation close to the Pouakai walks on Mt Taranaki. We had a fabulous stay at the cottage. Everything was very clean and extremely comfortable. The kitchen was equipped with everything we needed, including a new fridge/freezer and oven. The bathroom was modern and clean. The beds were super comfy, and we loved the BBQ. A wonderful rural location very close to town. Our kids enjoyed the safe area to run around in. We'll be back! Well equipped cottage of a high standard, in an excellent location. The cottage is a great size with all the amenities you require. High standard of all equipment, bed linens and towels provided. Lovely rural location with a verandah to relax on looking at Mount Teranaki! Plenty of space for more than 2 people. Host Marie very welcoming and willing to offer advice if required. The cottage is ideally positioned to access Mount Teranaki activities and New Plymouth. Pukeiti Gardens are nearby and well worth visiting, free admission. Thank you for your great comments and thank you for being such considerate guests. A Lovely Location, Wonderful Accomodation, Very Clean, Home from Home. A wonderful surprise when we walked in to Cosy Cottage. A home from home, l wish we could have stayed longer. We felt very relaxed and l will recommend to all my friends whenever they go to New Zealand. We loved everything about our stay, especially Sammy the cat. Very clean, spacious and tastefully set up. We enjoyed out 4 nights here, and would highly recommend this place. The view was beautiful and area very peaceful. The hosts are super friendly and welcoming, and even had some milk already in the fridge for us. They helped us figure out the internet and tv and also brought over some freshly made fudge! Peaceful location, immaculate accommodation, tasteful decoration, Brett & Marie offer a very nice property. We had a wonderful 5 days in Mangorei and made the most of the area: visiting the city and the gardens, cycling the Coastal Walkway, tramping to Pouakai hut, Dawson Falls and Mt Damper Falls. So much more to do, we need to go back! Highly recommended.